India’s Bharti Enterprises announced a tie-up with Japanese telecom operator SoftBank today, marking the coming together of two giants in the Asian mobile phone industry to spur the growth of the mobile Internet ecosystem in India. The two companies have launched Bharti SoftBank Holdings Pte. Ltd. (BSB), a 50:50 joint venture which has been “established to focus on mobile Internet” in India, according to the official announcement. The newly-formed alliance will focus on three areas in India’s fast-growing mobile Internet ecosystem: social media, gaming and e-commerce. Kavin Bharti Mittal, the son of Bharti Enterprises’ Chairman and CEO Sunil Bharti Mittal, heads strategy and new product development at BSB. We asked him about the upcoming plans for this company and he hinted that it will be investing in and building out the mobile Internet infrastructure in the country, although he said that he “can’t say much at this point” about any tangible short-term goals the company may be pursuing. This joint venture provides significant opportunity for both partners. It puts Bharti in a position to glean the experience and knowledge that SoftBank can provide, particularly from its experience growing a 26.8 million strong subscriber base in Japan, a market that is recognised as one of the world’s most advanced in mobile telephony. For SoftBank, this is a chance to gain a foothold in a market with significant potential. With a fixed Internet penetration rate of less than 10%, the overwhelming majority of India’s 1 billion-plus population has limited access to the Web. 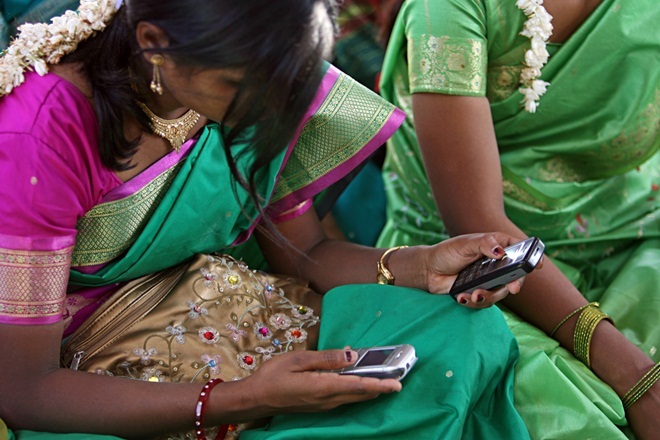 In markets such as India, mobile is touted as as the primary Internet access point for many unable to connect to a PC. If the infrastructure and devices are in place, millions in the country could be turning to mobile for their Web experiences, providing limitless opportunities for those in the mobile Internet space. At this stage, it is unclear exactly what initiatives the tie-up could yield. SoftBank’s experience could massively help with the building of new infrastructure, the provision of new services such as 4G or LTE and other activity that is key to providing the benefits of Internet services to more of the Indian population.